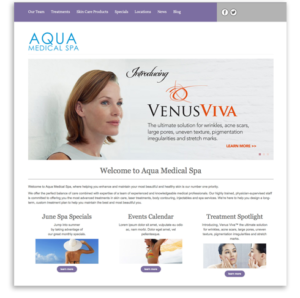 Dermatology Specialists provides comprehensive dermatological care, including cosmetic treatments, procedures, aesthetician services, and products at our physician-supervised Aqua Medical Spa locations. Our Medical Spas combine medical expertise with the most up-to-date cosmetic treatments, helping reveal your most beautiful skin. Our spas are staffed by dermatologists, physician assistants, advanced registered nurse practitioners, and aestheticians providing a wide range of treatments specific to your needs.